Access to and use of this World Wide Website (“Penny and Rusty’s Food Blog”) is provided subject to these terms and conditions. PLEASE READ THESE TERMS CAREFULLY AS USE OF THIS SITE CONSTITUTES ACCEPTANCE OF THESE TERMS AND CONDITIONS. © Copyright 2011 Penny and Rusty’s Food Blog, a Division of Penny and Rusty Press. All rights reserved. The information, artwork, text, video, audio, or pictures (collectively, “Materials”) contained on Penny and Rusty’s Food Blog are protected by copyright laws. You may only access and use the Materials for personal or educational purposes. You may not modify or use the Materials (in whole or in part) for any other purpose without express written consent of Penny and Rusty’s Food Blog. Except as provided below, you may not reproduce, republish, post, transmit or distribute any Materials on the Penny and Rusty’s Food Blog. You may print Materials on the Penny and Rusty’s Food Blog for personal or educational purposes only, and you must include any copyright notice originally included with the Materials in all copies. 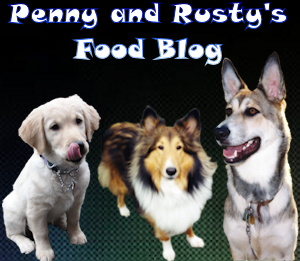 All media files on Penny and Rusty’s Food Blog are protected by copyright laws. You may not, under any circumstances, reproduce, record, publish, publicly exhibit, or distribute any media files made available on Penny and Rusty’s Food Blog without express written consent. You may not link directly to any file located on our server, and you should not attempt to “pass-off” any of Penny and Rusty’s Food Blog content as your own work. All information and reviews provided on this site is for informational purposes only. Penny and Rusty’s Food Blog makes no representations as to accuracy, completeness, currentness, suitability, or validity of any information on this site and will not be liable for any errors, omissions, or delays in this information or any losses, injuries, or damages arising from its display or use. The sites linked from Penny and Rusty’s Food Blog are not under our control, and Penny and Rusty’s Food Blog does not assume any responsibility or liability for any communications or materials available at such linked sites. 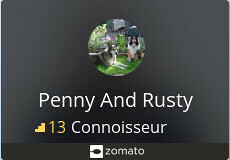 Penny and Rusty’s Food Blog does not intend links on Penny and Rusty’s Food Blog to be referrals or endorsements of the linked entities; they are provided for convenience only. Penny and Rusty’s Food Blog is not responsible for the actions of any advertiser or sponsor listed on this website. If you purchase products or services based upon a link on this website, you must pursue action with that company to resolve any issue. The views expressed by the authors on this website do not necessarily reflect the views of this website, those who link to this website, the author’s mother, father, sister, brother, uncle, aunt, grandparents, cousins, step relations, any other blood relative, puppies, gold fish, kittens, and the author himself. Although it may claim otherwise, this website does not offer legal, medical, psychiatric, dietary, veterinary, gastronomical, gynecological, archaeological, astronomical, astrological, ontological, paleontological, philosophical, axiological, audiological, bacteriological, mineralogical, criminological, terminological, dermatological, ecclesiastical, campanological, phrenological, phonological, technological, or hematological advice. This website may inadvertently link to content that is obscene, prurient, useless, hate-filled, poisonous, pornographic, frivolous, empty, rotten, bad, disgusting, hostile, repulsive, virulent, or infectious. 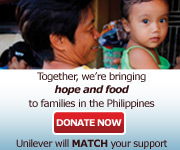 This website in no way condones, endorses or takes responsibility for such content – Penny and Rusty’s Food Blog cares. Comments that contain links to spam sites, profanity, threats, insults, hate speach or any other language that is deemed offensive, as well as abusive comments will be deleted without notice to the poster. Moreover, we reserve the right to delete any comment, for any reason, without notice to the poster. I work at Cakeaters Edible Art and was wondering if I could link to your blog post on our Facebook page. Hi Addie. Sure, that’s not a problem. Thanks!